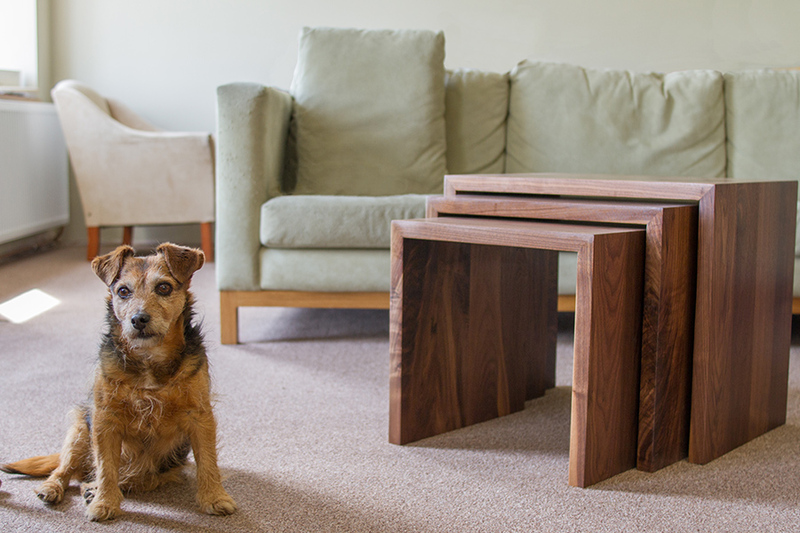 A distinctive furniture piece with its sharp contemporary styling is made out of our gorgeous Appalachian Walnut. The effect of combining the beautiful wavy grain and elegant wrap-around design creates a characterful furniture piece. Available as a nest of 3 or built to a larger size, the larger coffee table enhances the sophisticated grain pattern of our sustainably sourced Walnut as it stretches the entire length of the table. These minimalist styled coffee tables create an understated elegance in your home. Crafted from solid Oak, the fine grain runs gracefully along each surface of the table which works seamlessly with the simple wrap-around design. We love the nest of three tables as they store neatly away underneath one another until you need them, perfect for smaller rooms. Our End Grain has been tailored to suit the modern kitchen environment, which has creating a stunning, unique and durable surface that bursts with individualism and style. This beautifully crafted contemporary coffee table features a bottom flat shelf to place all your magazines or papers, whilst the nano-coated timber is resistant against any stains, moisture and dust. These Oak trays are perfect for taking food or drinks from the kitchen to the garden as the weather finally warms up! Crafted from our beautiful White Oak, this solid timber tray feature precisely cut dovetails, liberal coatings of protective oil and handles carved into the side for ease of use. These End Grain Oak Trolleys are available immediately and can be accessorised by yourself with your own choice of doorknob or handle. Our trolleys come with handy details such as locking trolley wheels or with an extra slatted shelf. Left unpainted, these Oak Trolleys have been treated to our protective nano-coat oiling treatment.